Want to create more engaging, fun, and effective training videos? Have you decided if your video should evoke emotions, provide instructions, give context or depict WIIFM? Does the video have a clear message? Do you want it to illicit a different POV? Will learners view the video in class with discussion from a facilitator or are they viewing it on their own? Do you have permission from the video owner? Are you streaming the video versus downloading it in respect of their permissions? Have you checked that the Closed Captioning (automatically built in to YouTube videos) is accurate? 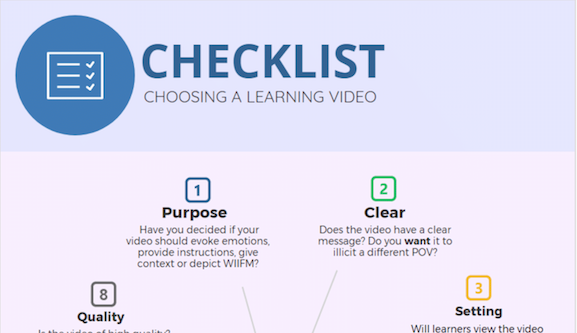 Want to learn how to create engaging training videos? Click on the link to access the infographic! Let me know in the comments below what you think.